PrezentareA candid autobiography of the great rock diva of Jefferson Airplane and Jefferson Starship, revealing her wild life at the forefront of the Sixties and Seventies counterculture. She has been called rock and roll's original female outlaw, as famous for her bad behavior as for her haunting singing voice. In her 25-year career as a musician, Grace Slick charted dozens of hits and sold millions of albums. From "White Rabbit" and "Somebody to Love" to "Sarah" and "Miracles," the songs she performed became the anthems of a generation. Whether describing her antics at the White House with Abbie Hoffman or the unforgettable experience that was Woodstock, Slick's recollections have the same rich imagery found in her lyrics. 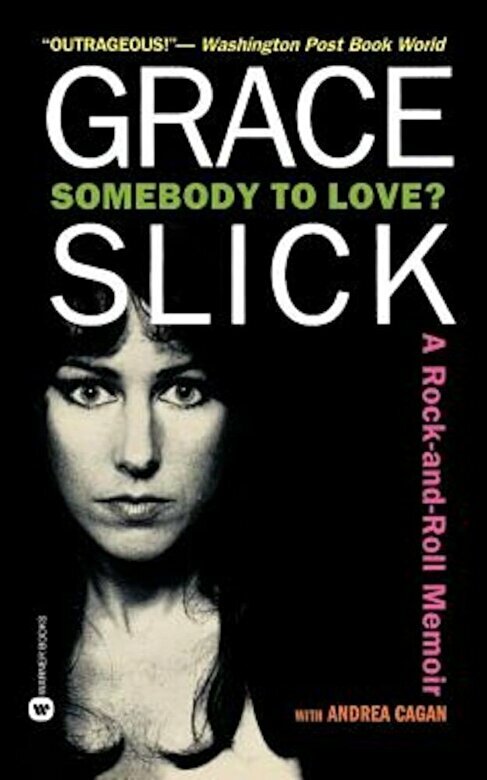 In this provocative narrative, readers will discover the many sides of Grace Slick: as artistic pioneer; she records songs with Jerry Garcia and David Crosby; as practitioner of freedom and rebellion; she sleeps with Jim Morrison and gets arrested for DUI on three separate occasions (without actually being in a car); and as a loving mother to actress China Kantner, she tries to balance casual friendship with parental wisdom. Slick offers a revealing self-portrait of the complex woman behind the rock-outlaw image, and delivers a behind-the-scenes, no-holds-barred view of the people and spirit that defined a quarter-century of American pop culture. Wildly funny, candid, and evocative, Somebody to Love?tells what it was really like during, and after, the Summer of Love-and how one remarkable woman survived it all to remain today as vibrant and rebellious as ever.